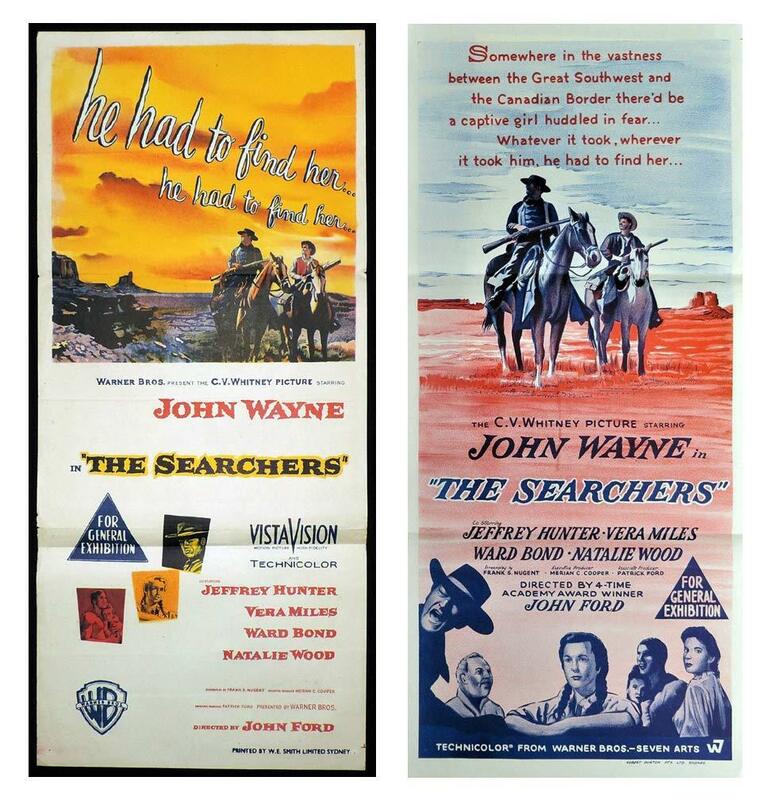 News | Moviemem Original Movie Posters - The Searchers Daybill Movie Poster - Original or Reissue? The Searchers Daybill Movie Poster - Original or Reissue? The Searchers is yet another example of a daybill that has been misrepresented on ebay. The Searchers daybill is a rare and sought after John Wayne title. Collectors seeing a hand litho daybill described as original 1956 release would assume that they are buying a first release daybill. However, a late 1960s daybill is often misdescribed as original and ebay does little to police these inaccuracies. In fact, after the the auction or fixed price listing has ended it will be removed from sight after a short period so no one will ever be able to cross check. The original Warner Brothers daybill is pictured on the left with the correct Warner Brothers details - full colour and printed by W.E.Smith. The late 60s reissue with the Warner Brothers Seven Arts logo, printed by Robert Burton is on the right. Obviously, a big difference in value but the buyer is likely to be none the wiser until they possibly find out down the track that they have actually purchased a reissue.